Managing an eCommerce business is easier said than done. Every day is like a marathon to get more customers coming into your store and stay ahead of your rivals. This is why marketing is an essential eCommerce strategy to keep your business afloat. The sad reality is executing even the most basic marketing strategies requires the right knowledge and skills to be effective, if not, you’re just spending your marketing budget on the drain. But don’t give up just yet. There’s a solution to your eCommerce marketing dilemma: find a perfect e-commerce agency. Now, we know what you’re thinking, “It’s expensive!”. Well, we beg to disagree. There’s always a marketing agency suitable to your needs and your wallet. You might even save more by investing in an eCommerce agency. Businesses can save up to 30% of their marketing budget when they outsource to an agency. In today’s post, you’ll learn how to hire the best eCommerce agency to partner with, including tips and tricks to negotiate the best deals and weed out run-of-the-mill agencies. Marketing covers a broad area such as branding, paid advertising, content, social media, etc. A marketing agency can give you access to a pool of experts specialized in a particular marketing discipline. Compared to an in-house team, your staff may not possess all the skills required or handle all the marketing channels and disciplines needed. When you hire an agency, you save time and money compensating for only the time when you get them involved as needed. Sometimes, it’s only the way for smaller eCommerce businesses to spare the price of expert services compared to an in-house team that you have to train pay for additional systems, facilities, and benefits. 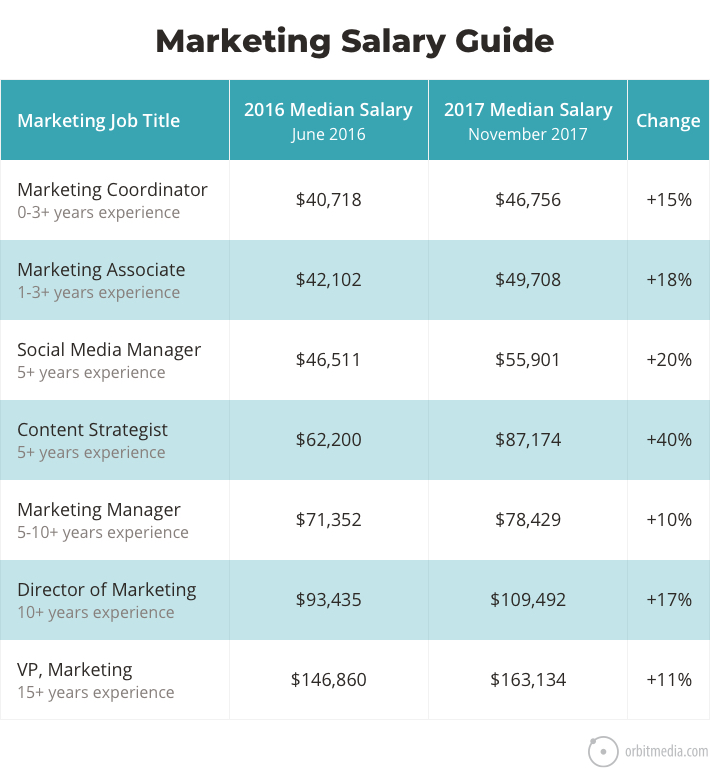 Have you seen the latest salary of marketing specialists lately? Good marketing agencies are exposed them to numerous clients, technologies, and industries. Their experience will avoid you from committing the same mistakes they’ve learned from the past. Quality agencies invest in cutting edge infrastructure, software, and technologies to keep up with the latest trends. Looking for expert advice outside your team will help you see an outsider’s perspective. This usually brings out new ideas that your team may not have come up with and let you avoid hurdles that your internal staff may not have calculated. Having a marketing agency will let you focus on your day-to-day activity as an entrepreneur. It means you get more things done and make your work a lot faster. Let your in-house team handle the things they are good at and outsource to the agency the other tasks. A true partner agency has the resources and capabilities to track and measure your ROI for marketing activity. It gives you transparency if your investment is going somewhere else. An agency can work at your disposal. You can scale up for big events or scale down during your off-peak. Any time, they can pick up where you left off. You have that flexibility depending on your current needs and requirements. The first step in finding the right eCommerce agency is to pinpoint your needs. The clearer you can define and outline your eCommerce needs, the more you can refine your dialogues and negotiations with potential agencies. 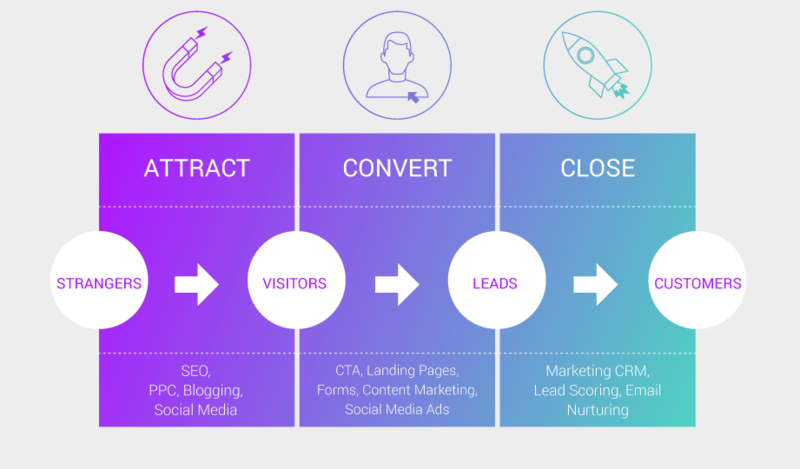 Objectives: more traffic, more conversions, brand awareness, growth, etc. 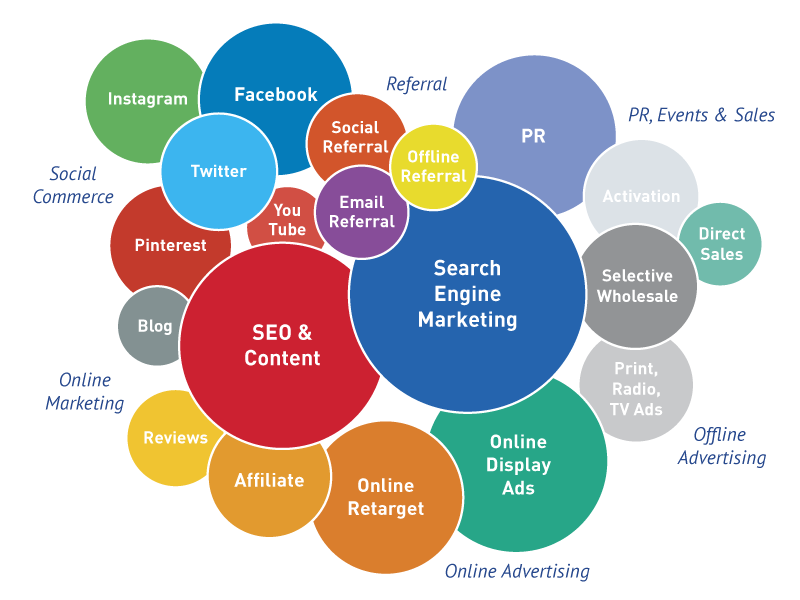 Marketing Strategy: social media strategy, SEO, email marketing, etc. Marketing Channels: display advertising, paid ads, Facebook, Instagram, etc. Budget: minimum and maximum spend per objective, strategy, and channel. We will discuss this further on the next step. You should know how much you can shell out before even starting to reach out to agencies. It’s a difficult reality but if you’re a budding eCommerce store, you don’t have unlimited resources so you need to spend sparingly. You have to act and think about how and where you invest your money in. However, this can be a tricky part too. While most marketing agencies have varied pricing and can probably accommodate you depending on how much you can spend, you often get what you pay for. Of course, with any quality service, top firms have higher price points. According to a recent survey, businesses must allocate 7 percent of their revenue on marketing. As a general rule of thumb, your marketing budget for an agency could identical to the yearly wages of two to three of your employees. This can range anywhere between $7,000 to $25,000 a month. Remember, however, that this is for the services of the agency, excluding the additional budget needed for the paid advertising. Do not be disheartened though, because as you go along, you’ll realize that price alone shouldn’t carry the heaviest weight in your decision making. You can use pricing as a tie-breaker once you have put into account the other areas that really matter such as quality of service, experience, reviews, etc. What you can do for now is to set your expectations. Be sure to allocate your minimum and maximum marketing spend and remember to put that at the back of your mind when you’re selecting the right agency. Always ask yourself: for this kind of service and result, is it worth it? Experience counts but the number of years in the industry shouldn’t be just your priority. It can be misleading sometimes. But you still have to consider if their experience is relevant to your industry. Instead of looking at the length of service, ask about what happened with their projects, what went well, what were their challenges or success stories. Considering that many agencies have sprouted over the year, they can be neck and neck with experience. Their credibility and expertise are far more important. Many agencies often promise big but fail to deliver in the end. But, don’t hesitate to dig deep. For example, if they have handled a social media strategy for a client, then check a couple of their client’s social media posts. If they designed a website, go on an visit the site to analyze it. You need to know the level of knowledge the agency is good at and the expertise it specializes in. But it shouldn’t stop from there. You should also identify their existing tools and resources that they use per area of expertise. How can you trust an agency that uses outdated software or poor infrastructure? How their current IT and infrastructure are set up will help you understand how they plan on executing your objectives. Their tools and resources will also give you an idea of how your goals will be tracked and your progress will be measured. You also want to know if their current technology and platforms match your current tools. You don’t want it to be a burden on your part of updating your own resources just to complement theirs. Again, efficiency is always the key. Outside the technical aspects and performance-based work, you should also consider the company’s culture and how it matches yours. Think of it as if you’re hiring someone for a job. Part of the selection process is identifying whether the candidate will fit in your culture. Check if you share the same work ethics, values, and objectives as a company as a whole. Through their website, you can already see how they brand themselves. Are they socially involved, an eco-friendly or employee-focused company? Identify what matters for you as a brand and then review if it aligns with that of yours. Aside from cultural fit, geographical location also plays an important role. Can they cover the same working hours as you do? Do they speak the same language? Where they’re currently located will tell you the speed of their service and if there will be any language barrier. But at the end of the day, the client-agency relationship should be positive. You just want to know if they can do the job and you like working with them. A sign of a good marketing agency is when they recognize that there’s no such thing as one size fits all marketing. It’s essential to find agencies that are adaptable to your needs. This will assure you that if you run into any issues in the future, the agency can be flexible and adjust to your needs accordingly. There should also be room for improvement. Successful marketing agencies understand that the market is continuously changing and so they have to find the opportunity to keep up with the changes and develop their processes. They don’t stop from educating themselves with the current trends in technology, infrastructure, and the eCommerce industry in general. 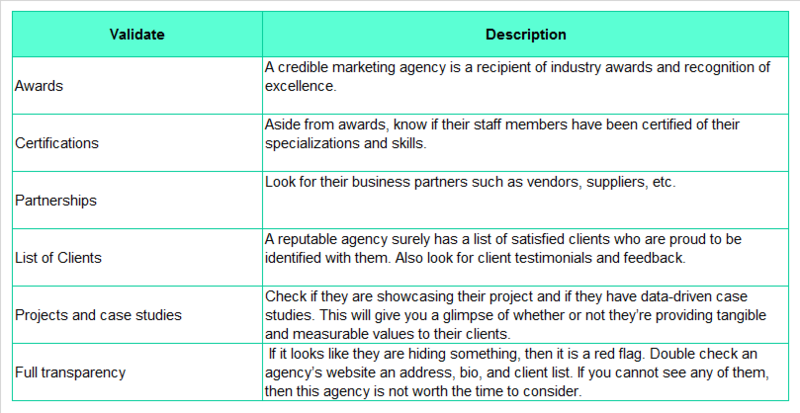 Based on the above criteria, you can now make a shortlist of potential agencies to work with. Ideally, you want to shortlist more than 10 marketing agencies that fall under your criteria. Then you can already begin weighing up their merits. This will help you narrow the number down as you move along. How quickly they respond to your inquiry is a good sign of positive cooperation. Generally, two working days are enough time. If it’s more than that, then this should be a major red flag. You want an agency that has a quick turnaround time. Once they reply to your email, your next step is to schedule a conference call or face-to-face meeting. Of course, there’s always a possibility of getting rejected but don’t get disheartened, you have access to thousands of good agencies out there. This will only help you narrow down the choices. What are of marketing you specialize in? Any credentials or certifications? Who are your clients related to our industry? What services do/did you provide? Any proof of success? What are their clients saying about yours? Any testimonials? What challenges have you encountered in the past? How did you overcome them? What are your current mitigation risks to prevent them from happening? How can you help with our goals and objectives? How much are you charging us? Is this negotiable? What tool and strategies will you use to achieve results? What are your standard processes in place? Turnaround time? How will you track and measure the performance? How will you handle our account? Who are the staffs that will be assigned? What are their qualifications? Based on the impression they made during the meeting, you can already sense which of the agencies are still in the running to become your agency partner. But, what’s important also to take note is how they interact with you after the meeting. Did they send a note, follow up a call or just leave you as is? At this point, you want to narrow down your selection between three to five agencies. Then, the best way to select the perfect eCommerce agency is to see them work in action. Assign them a case study that they have to accomplish. This should be similar to something that they would do for your company. This should not be broad so be clear, brief, and as specific as possible. Set a realistic deadline. Making them pitch their ideas will help you gauge their abilities and show how they work under pressure. This will also reveal how the agency operates. Take note on their delivery time and most importantly the quality of their work. During the pitch, ask the right questions. Make sure to always follow up anything that doesn’t make sense. How well did they present it? A good agency shows dedication and passion for their work, so these should be evident on their presentation materials and the way they communicate them. They have to show that they know what they are talking about and they have the complete control of the discussion. After the pitch, deliberate with your team. Take into consideration all aspects as possible and not just the pitch itself. Although, at this point, a huge chunk of your decision will be influenced by their presentation. Remember, go with the agency that puts their best foot forward. An agency’s quality of work, attitude, and work ethics should be on top of your criteria. While price is also a deciding factor, don’t make this limit you. 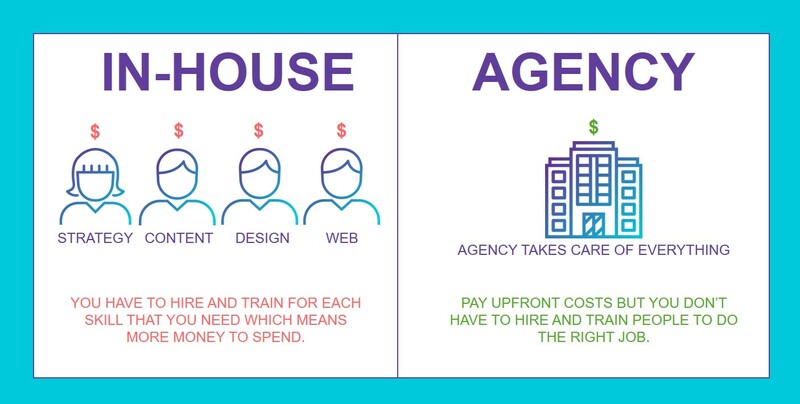 If you’ve chosen an agency out of your budget range, don’t immediately scrap them. Instead, tell them that they are on top of your list but their price is beyond your range. Most agencies are willing to compromise to meet you halfway. But, always put into mind that marketing is not an expense, it’s an investment. It’s crucial to find the right agency for an eCommerce store. Picking the wrong partner is not only a waste of marketing budget but can be harmful to your branding and dent your future conversions. When you hire a marketing agency, you are establishing a relationship. Find an agency that resonates your brand, values, and objectives. Read client reviews, analyze their past works, and gauge their work ethics to make an informed decision. Make sure that they are credible, experienced, specialized, insightful, and adaptable to guarantee that they are focused on seeing your growth and success in the eCommerce industry.